If you have not experienced the PBR you are missing out! PBR stands for Professional Bull Riders. This weekend I had the opportunity to see this in action. 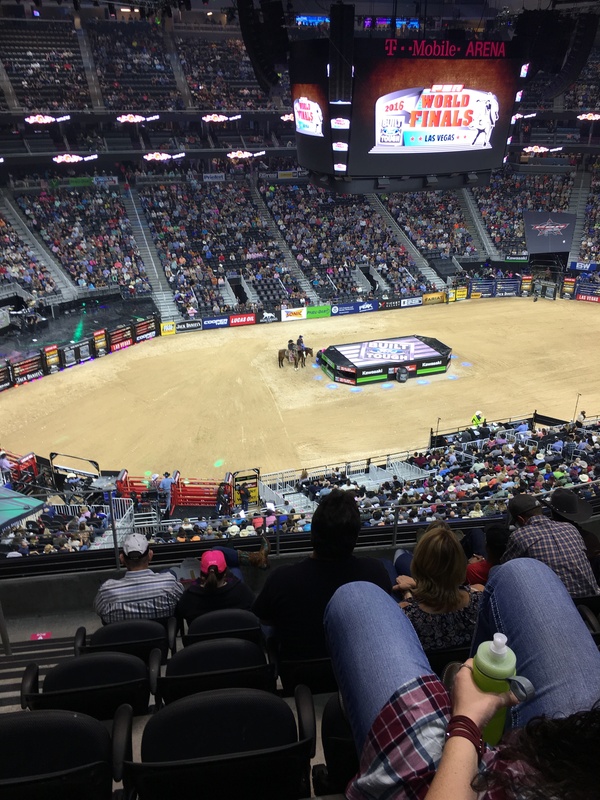 Las Vegas is the home of the World Championships of professional bull riding and I was able to get las minute seats. Joined by my friend Tracie, neither of us had ever been to an event like this. I was excited at the prospect because it was something new. So I donned my plaid shirt and cowboy boots and told my friends I was going to the Rodeo. I was quickly corrected. The Rodeo is a series of events where as the PBR was only Bull Riding, and it was bull riding of the highest art. 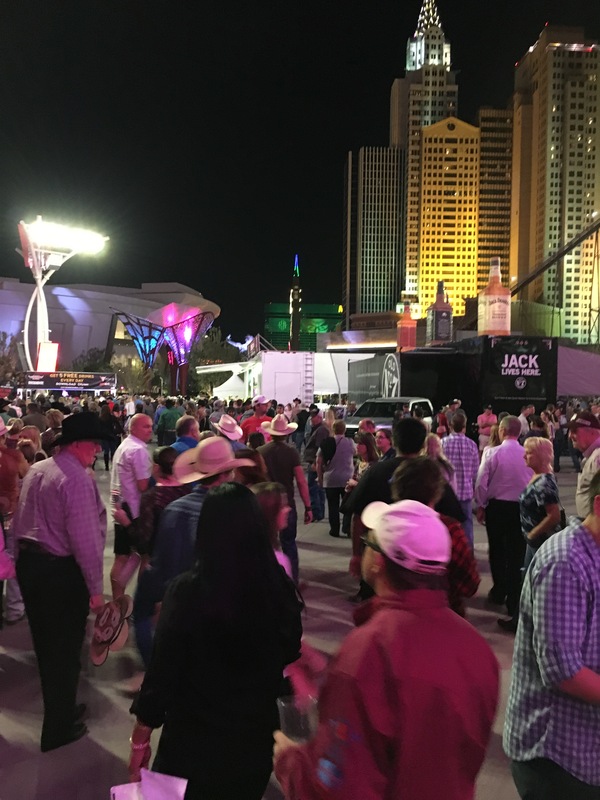 Now being from New York, I had never attended a bull riding or rodeo event of any kind. I’ll be honest, I even snickered a little at the prospect of going, but I was curious. This is a whole culture of the US that I had no idea about. Whatever I might have known of bull riding came from the Nicolas Sparks book turned movie The Longest Ride. In the movie, we see some of the struggles that a professional bull rider might face. Yet seeing the sport in action is like nothing I have ever seen before.When I tell you that I was not only excited but extremely terrified, it is no exaggeration. Bull riding is no joke. We ended up arriving late and were only able to see the last round but I think if we had seen the whole event we still would have been clamoring for more! It’s an infectious sport and I can see how people get so invested in it. These men who have made it their lives to stay astride a bucking animal no matter what is such an athletic feat. There’s a build up of anticipation as you wait for the next rider to come out of the “shoot” (or gate as everyone else would know it). The rider’s goal is to stay on and ride with grace for 8 seconds or longer. As you can imagine the bull has other ideas. So you wait for the rider to get himself set. A judge will see a window available when the rider can start their ride. The rider then has 30 seconds to nod to indicate they are ready to go, otherwise they are disqualified from the round. So you’re on the edge of your seat waiting to see if they’re going to go and then you see the little, almost imperceptible nod of the rider’s head and the gate springs open. If you blink you could miss the ride. But when a rider is sitting on top of that bull so confidently, you find yourself cheering for them at the top of your lungs, no matter who it is or if you even know what’s going on. It’s amazing. And then it’s over and you’re still cheering. Then the process starts all over again. Before you know it all of the riders have gone and the stadium is filing out. I literally sat with my friend and asked it’s over already? Is it really over? And just like that I knew this would not be my last bull riding event. Oh I plan on attending many more. If for nothing else than for the people watching experience, which is fantastic. From rhinestones to belt buckles the size of a license plates the fashion is unique to this culture. Think Dolly Parton or any spaghetti Western ever made. It is bold and in your face. Women are bedazzled from head to toe, with enough sparkle to light up a city block. And there is something about a man who can wear a pair of jeans the way they are meant to be worn. Not too tight but not too baggy either, they wear their jeans fitted. There’s a beauty in that. This culture is built on the backs of hard-working men and women, many of who are responsible for feeding our nation with the cattle they raise and the fruits and vegetables they harvest. How can you not by in awe of it or want to be a part of it for even a day? I loved every second of this outing. If you want more information on the PBR or want to attend one of their events you can click on the hyperlink below. Until next time, life is short, travel now!